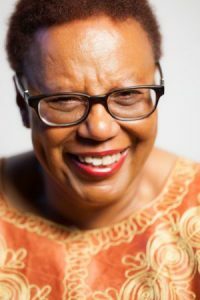 Patricia Spears Jones, poet and BEI Emeritus fellow, has been awarded the prestigious Jackson Poetry Prize. The prize, hosted by Poets & Writers, is awarded “to an American poet of exceptional talent who deserves wider recognition.” The substantial prize is given to provide time and encouragement to write. Poets Henri Cole, Kwame Dawes, and Mary Szybist served as judges for the award, which is by nomination only. Congratulations, Patricia! Poets & Writers is hosting a reading in honor of Patricia Spears Jones in New York City on May 23.